'This is a book about country. 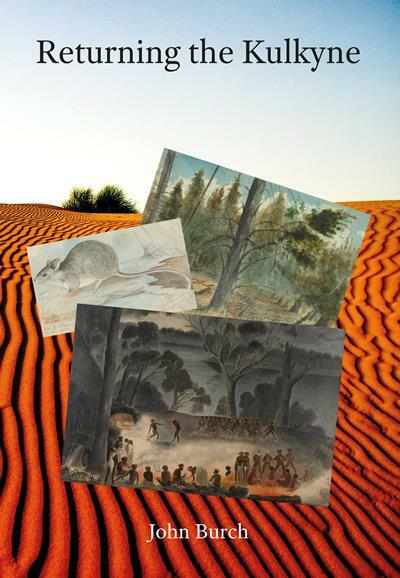 It begins with consideration of the pre-colonial environment and traditional owners of a largely unknown area in north-west Victoria, and concludes with the area becoming nationally and internationally recognised for the unique qualities of its natural and cultural landscapes. The human stories of the Kulkyne range from the finely balanced ways of the of the Indigenous Latji Latji and Nyeri Nyeri clans; to squatters and pastoralists; hunters, foresters, rangers and railwaymen; and to the earnest endeavours of interest groups, each focused on the Kulkyne's natural or cultural heritage. These stories are woven seamlessly together into a narrative based on painstaking research in oral histories and documentary sources, and draw on a deep appreciation of the workings of the natural world. This is best illustrated in those sections dealing with the book's main theme, the restitution of the Kulkyne's environments after decades of misuse and degradation. John Burch set out to write something that would be 'available to any who would be interested'. What he has produced is a book that is history at its very best. Returning the Kulkyne not only adds to our knowledge and understanding of its subject; it is a fine example of the power of historical narrative.